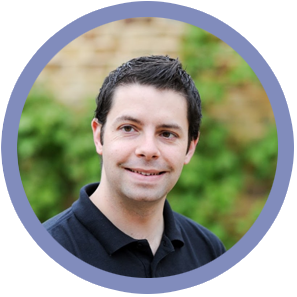 We have been working with BritWeb for many years and have always found their service and advice to be excellent. 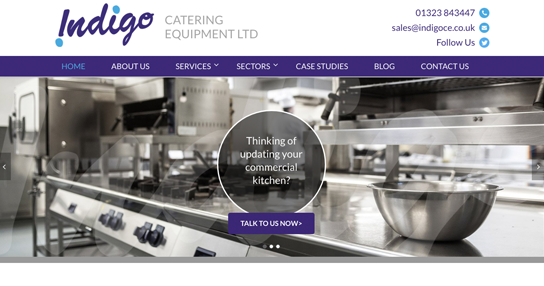 I am very grateful for their proactive approach and reliable support, meaning we can happily refer them on to our own clients with complete confidence. 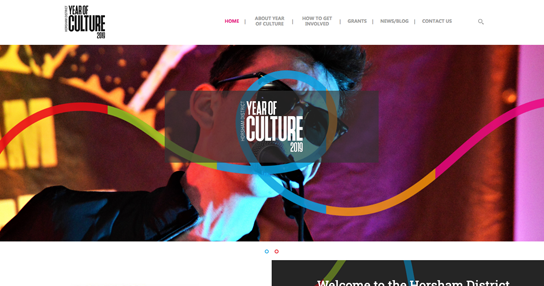 Founded in 2007, BritWeb Ltd designed and built the Woodstock IT website, which launched in February 2013. 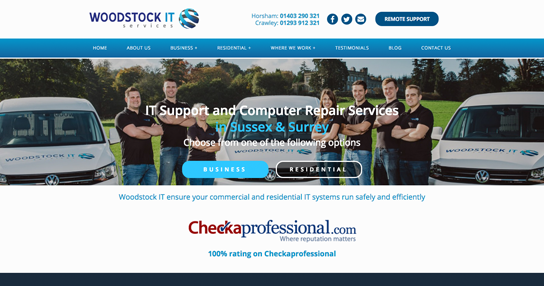 Woodstock IT is an IT support and computer repair company based in Horsham and work in the Sussex and Surrey regions. They offer both residential and commercial IT services and specialise in business IT support including cloud-based solutions and data back-ups. Responsible for the success of their digital marketing, we made a plan to deliver high quality, relevant PR placements online. This process of outreach benefits the SEO of a brand (brand mentions, link authority, referral traffic etc) and places a business in front of it’s target audience. In essence, each placement is a vote of confidence. Achieving coverage involves in-depth research and analysis of relevant industry websites and publications, assessing the quality and authority of each in Google. The competitor landscape is also assessed to ensure work is well-informed and effective. In addition to local news coverage, directory placements and traditional SEO features on relevant websites, we proposed a focus on partners outreach for a period of 3-4 months. Woodstock IT work with a number of IT brands, for example the anti-virus software ESET, which we recognised as having value for their digital footprint. With PR and outreach, it’s about finding a way in; partners outreach builds on existing connections. After researching each partner online, we approached the editorial teams of each business and opened up a beneficial communication channel to achieve strong links and exposure. Throughout the process, Woodstock IT were kept informed and were on hand to offer quotes and final approval of features. The high value industry placements achieved gave the company links from strong domains that Google favours, which places them ahead of other local companies who haven’t yet achieved this reach. Woodstock IT also became more known to their partners and the door is open for future work together. Within the timeframe we achieved four placements from six identified and approached partners. This success rate of 67% reflects well on the time invested. One of the remaining partners has agreed to a feature when they have the website functionality to do so. 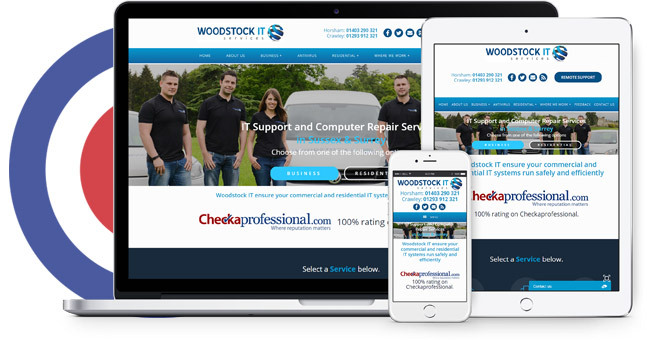 By having content discussing core services of Woodstock IT linking back to the site, it’s a signal to Google that the company is more relevant for these areas and deserves to rank higher when it’s users enter the appropriate search queries. All content placed is unique and features ‘contextual follow links’ which pass the most value back to Woodstock IT. 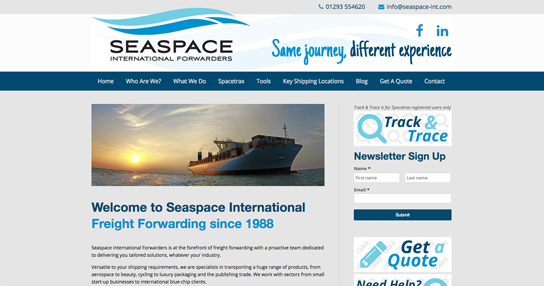 To maximise value, links were placed to the homepage and deeper internal pages for core services.